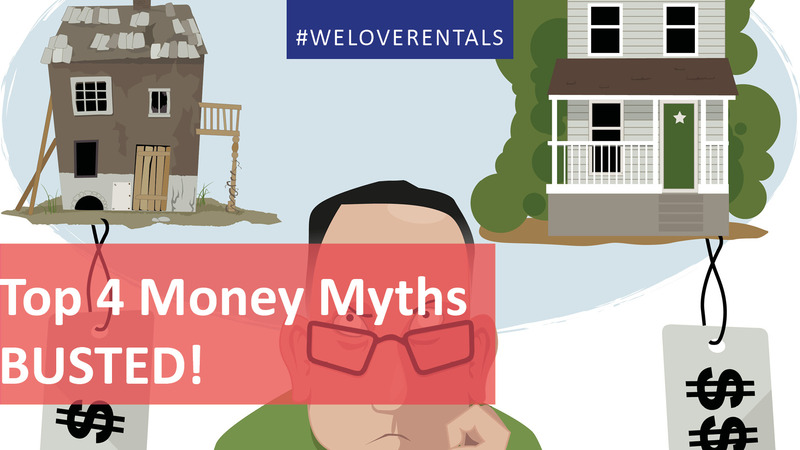 Top Four Money Myths – Busted! Have you ever wondered how some people get rich while others fall short? To get you onto the right track let’s bust the top four money myths. Myth 1 – Is it an investment or merely a gamble? Successful individuals tend to study the financials of any future investment; looking for strengths and weaknesses, as opposed to chucking some money at an investment and hoping for the best. Then they would run it past their financial advisor to make sure their financial due diligence was correct. Basically, they did their homework. And their homework did not end after they purchased a stock, they continued to monitor the financials of each company they invested in. If the financials got better, they invested more money. If the financials got worse, they sold their stock. If you’re using debt to create a business asset, grow or expand it then this will (hopefully) eventually generate significant profits. Bad debt is debt that is used to finance losses in the business after the start-up period was long gone. Losses mean you’re not running your business correctly. And using debt to finance a poorly managed company is bad debt. There is a difference between random luck and Opportunity Luck. To the rich haters out there, random luck is why the rich are rich. Opportunity Luck is why the rich are rich. Opportunity Luck is a unique type of luck the rich create as a result of having good daily habits. When you have good daily habits, you magnify the opportunity for luck to occur. Good daily habits are nothing more than automated persistent behaviors that help get you closer to achieving the goals behind your dreams. Good daily habits attract Opportunity Luck. Not so – a penny invested is ten pennies earned. Many successful individuals invest their money in one or more of these three places: their own business, stock in other companies, or real estate. If you really want to be rich, you must invest your money. Are you looking for reliable property management? Look no further! Call us today on 08 6254 6300 to schedule your rental appraisal.